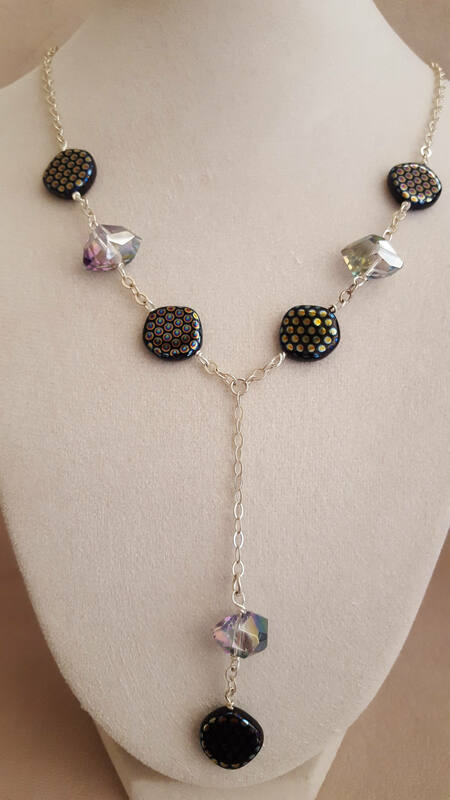 Pretty Black Peacock Beads with clear crystal accent beads. Main part of necklace measures about 17" with a 3 1/2" drop chain with a crystal and peacock bead. Chain is sterling with sterling lobster claw clasp.